Having your hands in a virtually bottomless cookie jar is an exceptionally sweet perk of the job of overseeing production and packaging operations of one of Canada’s more venerable, and yet highly productive and technologically-savvy cookie manufacturing facilities. But it would way off the mark to suggest that each workday is a breezy cakewalk for Michael Codner, a 24-year Kraft Canada Inc. veteran and manager of business development at its lively, highly-automated production facility in the Toronto suburb of East York. Located on a 7.2-acre site in the city’s northeastern urban sprawl of quiet residential neighborhoods and light manufacturing enterprises, the 270,000-square-foot factory employs over 500 people to process more than 90 million pounds of cookies, biscuits, crackers and other baked goods per year, according to Codner, directly involved in numerous, well-executed capital upgrades, expansions and modernization projects carried out at the plant since arriving to the operation about five years ago from another Kraft Canada division. “Over the past four years, Kraft Canada has invested over $8 million in capital improvements to ensure the plant’s continuous improvement in manufacturing competitiveness and world-class productivity levels,” Codner told Canadian Packaging on a recent visit to the East York operations, which turns out nearly 90 different SKUs (stock-keeping units) of cookies and biscuits for both retail and foodservice across Canada and the U.S., exporting almost three-quarters of its output south of the Canada-U.S. border. Boasting an expansive product portfolio comprising some of the company’s most renowned retail brands and labels—including Oreo, Chips Ahoy, Ritz, Peek Freans, Peek Freans Lifestyles Selections and Christie, among others—the plant houses six giant-sized ovens and 14 robust production lines to meet its lofty output targets, as well as six high-performance packaging lines to make sure its products hit the market with eye-catching shelf-appeal and immaculate product freshness these category-leading brands deserve by virtue of their long-enduring brand loyalty and affection amongst North American consumers. Michael Codner, Manager of Business Development, Kraft Canada Inc.
Acquired by Kraft Canada in 2001 as part of the merger between its parent company, Northfield, Ill.-headquartered Kraft Foods Inc., and one-time leading cookie manufacturer RJR Nabisco, the East York facility is no stranger to periodic capital and facility upgrades—having undergone numerous expansions and modernizations since starting up in 1949 under the Peek Freans Company banner. “The East York facility continues to be successful because we’re focused on product quality and innovating and streamlining our operations,” says Codner. “Our success is based on continuing to identify new opportunities to deliver more value to our customers by building a highly-flexible work environment, which enables us to move quickly to produce quality products with great speed-to-market. “We also maintain a dedicated and engaged workforce that is committed to excellence,” says Codner. Boasting a remarkable hat-trick of top-level international standards certifications—including ISO 9001:2000 certification for quality management systems; ISO 14001 accreditation for sound environmental management practices; and the all-important HACCP (Hazardous Analysis Critical Control Points) food safety validation—the East York operation is also a model practitioner of the highly-demanding Lean Six Sigma continuous improvement methodology to maintain its quality productivity levels at benchmark standards. “We have a strong Lean Six Sigma program at the facility, with a number of Six Sigma ‘black belts’ and ‘green belts’ who are dedicated to applying Lean Six Sigma principles to ensure that all lines perform at a 3 Sigma level or better this year,” he explains. Codner expands: “All the work processes at the plant are centered on what we call the QCDS2M (Quality, Cost, Delivery, Safety, Sustainability and Morale) program, which focuses on addressing these six topics at the lowest level of the organization possible. “There are several teams in the plant, mostly made up from front-line workers from crossfunctional areas, meeting daily for 15 minutes to 30 minutes to review key performance indicators related to their line or department,” Codner reveals. The plant’s team approach to problem-solving has been enthusiastically embraced by the East York staff, referred to as “colleagues,” who have enabled the facility to achieve and maintain a virtually flawless workplace safety record, Codner relates, citing a zero LTA (lost time accident) rate. Codner says the East York plant’s unwavering focus on product quality and safety has been significantly reinforced in 2009 when it became the first, and so far the only, Kraft Foods plant worldwide to become a “peanut-free” operation. 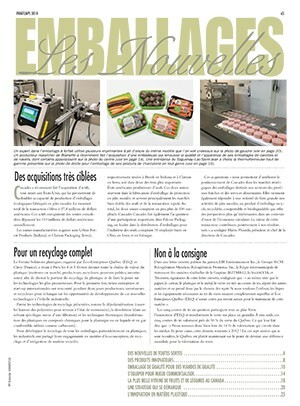 With so many stringent quality control procedures and protocols in place, Codner reasons, selecting and purchasing new production and packaging equipment is naturally a fairly involved and detailed undertaking, requiring in-depth product evaluation by plant personnel and a matching commitment to manufacturing excellence by the operation’s supplier base, including packaging machinery and materials. Distributed in Canada by R.E. Morrison, a high-performance Becker vacuum pump is incorporated into the Bosch twin-tube bagging machine to ensure precise air flow and distribution during the bagmaking process. 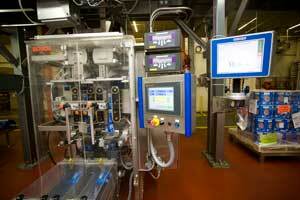 Codner explains: “This facility has key packaging equipment requirements from a fairly unique plant perspective. “Because our plant floorspace is a premium, due to our small footprint, and our production volume continues to grow, we must develop unique ways to fit more equipment in our footprint safely and effectively, and optimize our production capability. 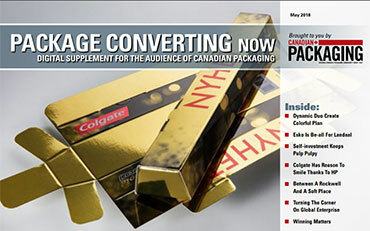 “Moreover, our packaging equipment must enable us to execute quick-and-easy changeovers,” points out Codner. “Because our plant is a highly-flexible operation, requiring several product changeovers on every line every week, our equipment must support achieving full output capacity within the first hour of the changeover. “Also, as we install new lines, the performance of our packaging equipment must enable the overall production line to operate at a 4.5 Sigma level or above,” he states. “This means that in some of our more complex lines, packaging equipment RTP (throughput yield) needs to be at least 99.5 per cent. 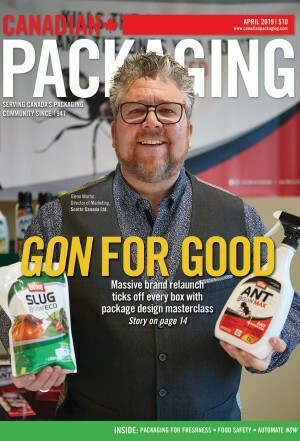 “Packaging is very important to us because it accounts for a significant part of our cost structure,” says Codner, noting that about 80 per cent of the plant’s hourly workforce is directly involved in the operation’s packaging-engaged functions. • Using combination scales and F/F/S (form-fill-seal) baggers for improved productivity and faster response time to new industry and market trends. 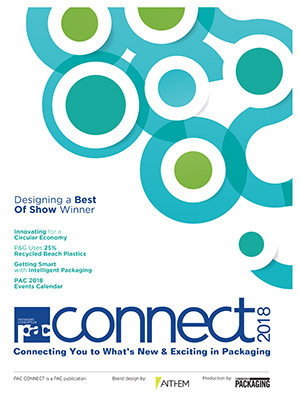 “Currently, shelf-ready packaging is really beginning to influence many of our case-packaging decisions, as we look to identify opportunities to deliver this value to our customers,” says Codner, while also noting continued popularity of resealable packaging, such as the company’s proprietary Snack ‘n Seal packaging for cookies. Naturally, that involves continuous upgrades of the plant’s packaging and quality contol systems, Codner relates, citing a recent expansion project on the plant’s Line 4 involving the installation of a high-precision, high-speed X-Ray detection systems manufactured by Anritsu Corporation. “We went with Anritsu for our X-ray equipment to replace metal detection technology after conducting very extensive trials,” Codner recalls. 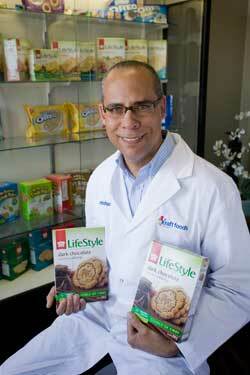 “With this technology, we have really taken food safety on this line to a higher level. Another recent expansion involved a major upgrade of Line 6 packaging operations with installation of twin-tube bagging machines, manufactured by Bosch Packaging Technology and integrated with Multipond scaling equipment to form “a high-speed combination scale-and in an arrangement that is among the fastest in the industry, delivering accurate weights with output speeds of up to 380 bags per minute, per each bagger, for some of our products,” says Codner. “Our main objective with this expansion was speed and weight accuracy,” Codner explains. “We worked with three main venders, doing several trials with our products, and Bosch and Multipond combination came out on top,” he says, complimenting Multipond’s local Toronto distributor Abbey Packaging Equipment Ltd. for supplying the scaling systems; Richmond Hill, Ont.-based Charles Downer & Co. Ltd. for delivering the Bosch baggers; and Toronto-based George A. Wright & Son Ltd. for its systems integration, installation and startup services. 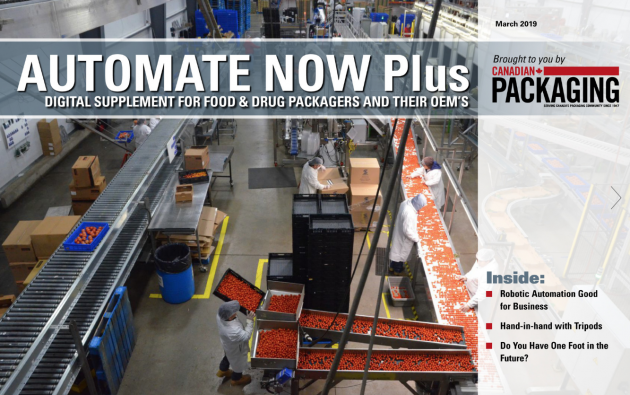 “One of the additional factors that drove the selection of Multipond and Anritsu equipment is the excellent local support from their representative Abbey Packaging,” Codner reflects. “They are located close to our facility, they are very knowledgeable on the equipment, and they provide outstanding technical support. 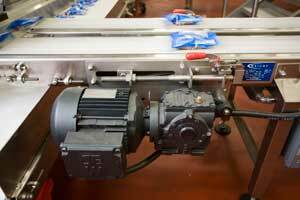 Heavy-duty SEW Eurodrive motors are deployed along Line 6 to power the line’s high-speed conveyors transferring bags of cookies downstream for secondary packaging. Says Codner: “These expansions were driven by productivity, growth and market trends. 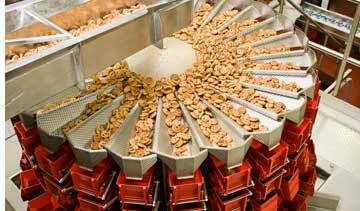 “At the East York facility, we constantly strive to implement the latest technology that will give us the best efficiency and the best quality,” says Codner, citing other key production benefits of the plant’s switch to peanut-free production. “For our Canadian Snack Paks brand of peanut-free products, we have achieved significant reductions to our environmental footprint,” Codner explains. “By the end of this year we will use 16 per cent less plastic film, 10 per cent less paperboard and 25 per cent less transportation. “Working closely with our packaging material and equipment vendors, we approached this initiative with a goal of making a significant impact,” says Codner, citing the plant’s deep-rooted commitment to environmentally sustainable manufacturing practices. “This plant is very proud of its success in managing waste—currently more than 95 per cent of waste generated is recycled or reused,” Codner points out. Recently recognized with the prestigious 2011 Green Toronto Award this past April, the East York facility is also a recipient of the city’s Water Efficiency Award, points out Codner, having achieved a 58-percent reduction in the use of Toronto’s municipal water supply between 2005 and 2010. In addition to continuous environmental improvements, Codner says the East York operation is also a keen supporter of local many local community programs and events. “We are very involved in the local community, focusing particularly on food programs and supporting special events at local schools and community centers,” says Codner. “We have an Organization Diversity Council and Kraft Canada Cares team here at our facility, which organizes several fundraising events, food drives, and donations to selected community support groups.